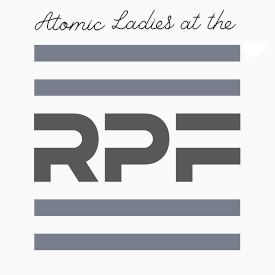 Atomic Ladies - Video game costuming, crafting projects and tutorials. Our main love is Fallout cosplay with some cyberpunk and Nintendo fandom thrown in for good measure. Growing up, Labyrinth (1986, dir. Jim Henson) was one of those movies my family and I watched to death. I was really inspired by Brian Froud’s creature designs, so when my sister was deciding what her and her husband should wear to a Fantasy/ Sci-Fi themed wedding, I suggested Labyrinth Costume Masks from the Ballroom scene. Of course, I offered to make them as well. This is the first in a series of posts in which I’ll build a full Judge Death costume. Judge Death is one of Judge Dredd’s nemesis from the 2000AD comic series. He is from a parallel world where the Judge’s logic has been taken to the extreme and all crime has been traced back to one origin: Life. Today I’ll show you how I made a Judge Death Pterosaur Shoulder Piece from foam, Worbla and sculpting materials. The Vault 101 Jumpsuit is a favourite costume amongst Fallout fans and cosplayers. Although there are many variations of the jumpsuits worn by the inhabitants of Vaultec vaults, and many people like to customise their jumpsuit costumes, the basic numbered jumpsuit the Lone Wanderer wears is made up of four parts. These are: a blue denim jumpsuit, a Pip-boy 3000, the zipper strap over the left shoulder, and a belt. Our website has already published articles on how to plan the denim jumpsuit and a Pip-boy. This article is about how to make a Fallout 3 Vault Jumpsuit belt using craft foam, glue and nylon webbing.